Donald has been involved in the boating industry since he was 12 years old. He enjoys fishing and boating with his family, and his extensive knowledge has enabled thousands of clients to enjoy the boating that Florida has to offer. Come in and talk to Donald today to see how he can assist you! Tim grew up around water and boats at the Lake of the Ozarks in Missouri. His love and passion for both are evident in that he has spent over 30 years in the boating industry. He imparts that on fellow boaters as soon as they meet him. His vast knowledge in all aspects of boating really shows. Trust Tim to find the perfect fit for any type of water enthusiast you might be. His clients think highly of him and become his good friends. Stop by or give Tim a call! 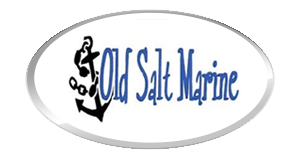 Craig is one of our new members of Old Salt Marine and handles our sales financing. Craig is someone who has enjoyed the water his whole life and loves to share his passion with fellow boaters. With over 20 years in the Financial Field, Craig is sure he will be able to help you and your financial needs when it comes time for you to buy your vessel! April is a Florida native who enjoys the water. As the first point of contact, April is here to help you with getting you in touch with the right department and the right person! Mike has been with us since 2009, and is certified with several OEM manufacturers. He is well versed in inboard/outboard motors, and enjoys doing rebuilds and repowers for our clients. Damon is our Rigging Technician and has been with Old Salt for over seven years. Damon enjoys spending his time out on the water whether it is casting some reels or relaxing on the boat. Being certified through Yamaha, Damon is sure he will get your boat rigged to your expectations and get you prepared to take your boat on the water soon! Harold is one of our certified mechanics in our service department. Being a native of Florida, Harold has been around boats his whole life. With over 20 years of Marine Mechanic experience, and eight years of instructing, Harold is sure he will provide exceptional care to your boats engine when needed. Roberto is one of our technicians in our service department. A native of Puerto Rico, Roberto has grown up on the water. Since he was 12 years old, Roberto would help his uncle repair outboard motors and knew this is something he would love to do in life! George was born in Hawaii, but has lived in Florida most of his life. When not at work helping our customers with their service needs, George enjoys boating, fishing, hanging out at the sandbar, and pretty much anything having to do with the water. Stop in and see how George can help make your boating experience more enjoyable. Cheryl is our Rigging Coordinator and handles customer warranty claims. Cheryl has been with Old Salt for over two years now. When Cheryl is not busy in the office, she enjoys spending her time on the water or with friends and family. Cheryl will make sure your boat buying process is handled smoothly and that you can get on the water fast! Val is the head of our Upholstery department and works diligently with our design team to make sure your boats cushions are in great shape! When Val is not in the shop, he enjoys his time outdoors enjoying the Florida lifestyle or on the water! Ida handles the upholstery patterns for our customers boats as well as prepping all materials for the shop. When Ida is not working in the upholstery shop, you can find Ida serving alongside our detailing team making boats shine bright! Ray has been around boats for most of his life. Growing up, Ray worked at his local Marina working on boats and enjoying the water with his family. Ray has over 30 years of experience in the marine department and will be sure to help get you the accessories you need for your boat! Ron is our Detailer and has been with Old Salt for close to two years! Ron has enjoyed the water his whole life and loves being around boats! Whether Ron is in the yard washing our vessels up, or getting your boat shining bright for when it hits the water, Ron will make sure your boat draws the eye of all of your fellow boaters and friends when out on the water! Nick is pursuing his degree in Marketing and would love to work in the marine industry when older. Growing up boating in the north, Nick is learning more about the Florida boating lifestyle everyday! Nick helps manage social media, websites, and advertising for Old Salt!